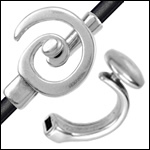 Clasps for all sizes of round leather cord! 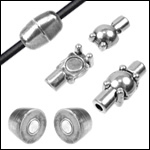 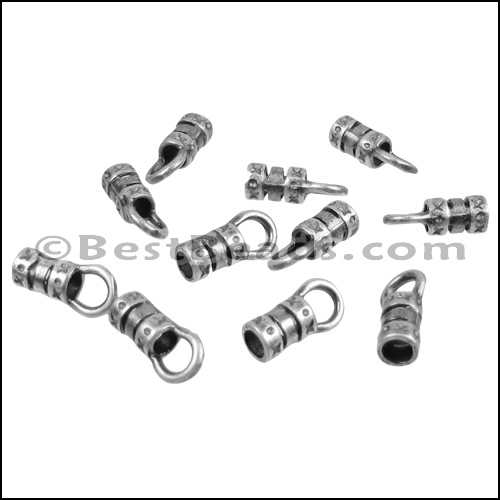 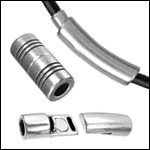 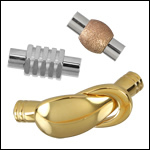 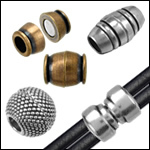 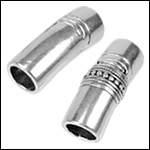 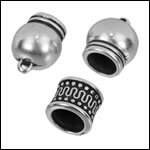 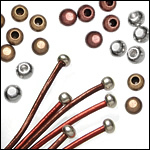 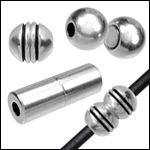 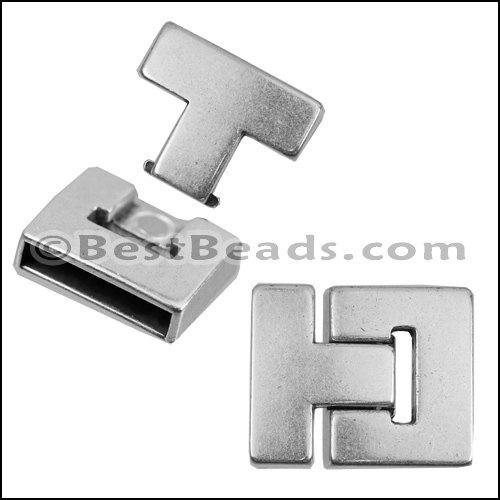 Magnetic clasps offer an easy and convenient closure, while the various connector clasps provide a variety of design options for your bracelets. 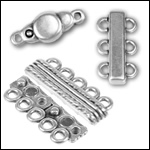 Some of these work as the focal point of the bracelet, creating an easy one-step design process. 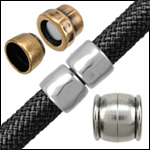 Others are more simple and can be combined with beads, sliders, and/or braiding techniques. 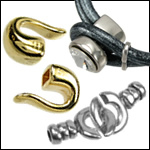 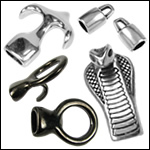 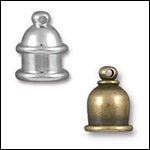 All of these clasps are made in the European Union of high-quality zinc, unless noted as being made of pewter. 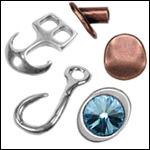 They are electroplated in brass, copper, or 99.9% sterling silver. 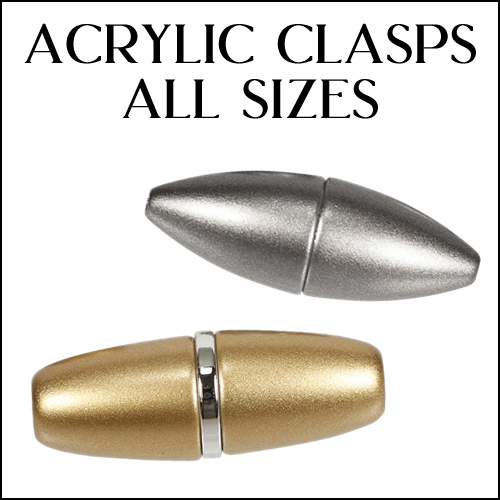 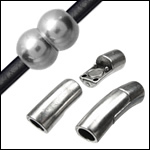 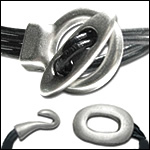 We offer a wide selection of all sizes of round leather clasps, so you'll be sure to find what you need for your project! 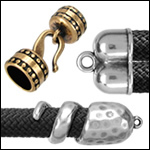 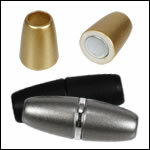 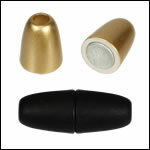 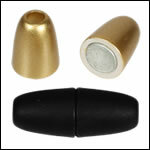 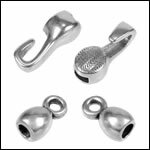 Customers have also used these clasps for kumihimo and similar projects, so don't feel restricted to just leather!